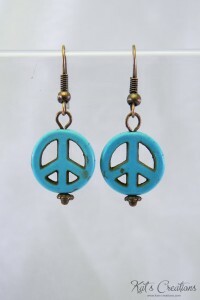 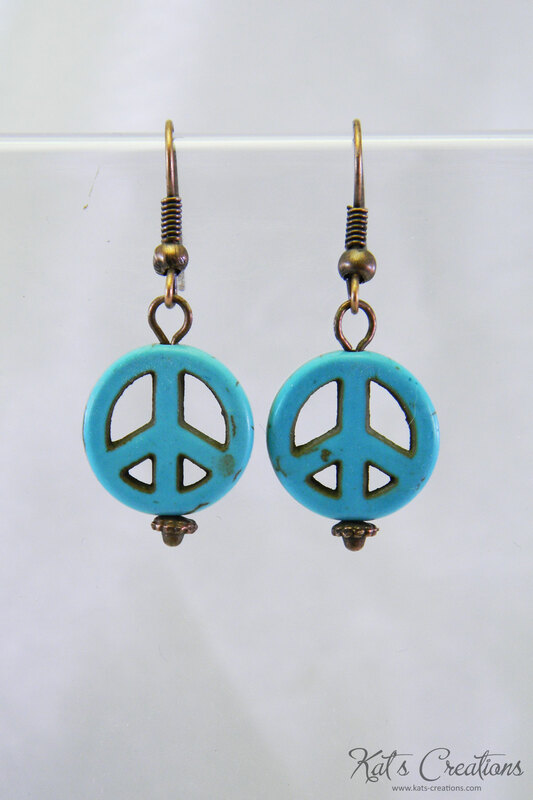 Turquoise-dyed magnesite peace symbols… my pre-teen niece went nuts for ’em. 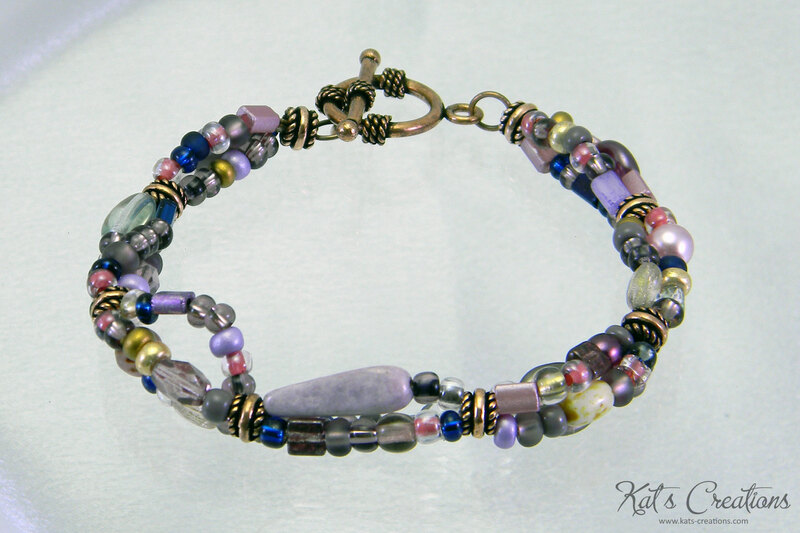 Also available in pink and yellow… photos coming soon! Another bracelet in the Stranded series, this one mixes girly shades of lavender, iris, rose, and royal blue. 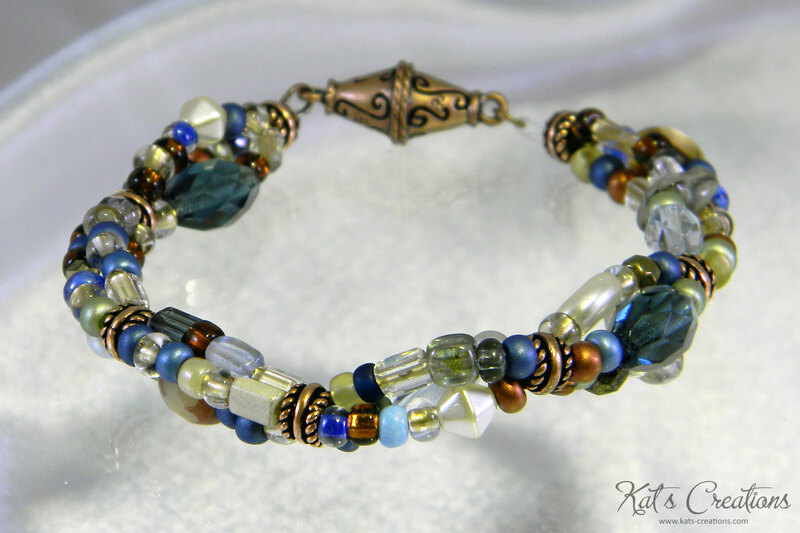 Pictured with copper accents, but I’ve also made it using gold, and it looks just as fabulous! 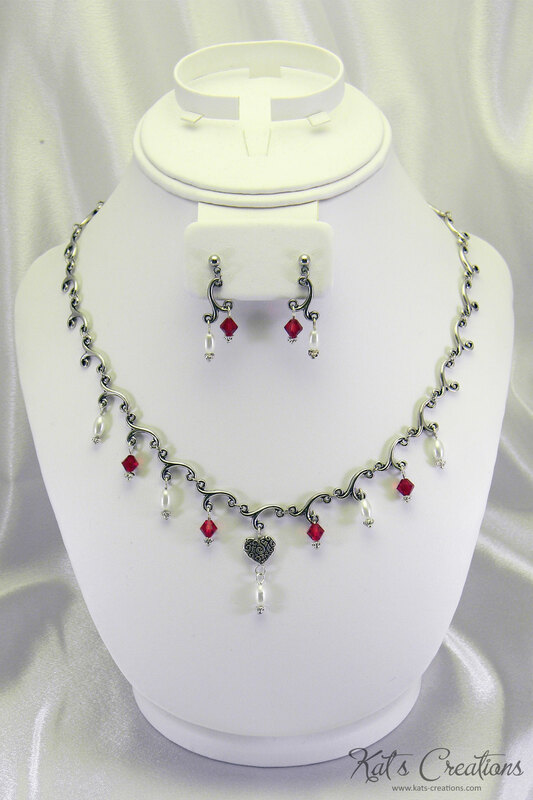 I like symmetry and regular patterns, but sometimes it’s fun to branch out and try something new. This project got its start as a gift for a friend, but has turned into one of my favorites! 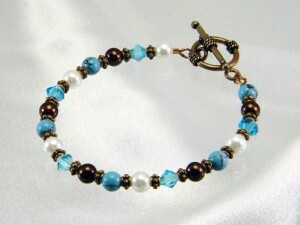 Spacer and clasp may vary from depicted. 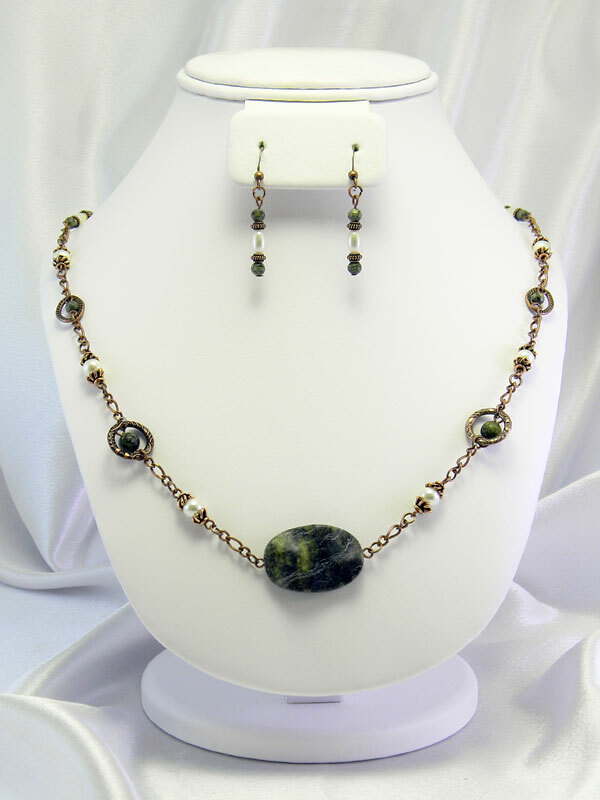 Russian Jade, antique copper, and ivory glass pearls (both round and rice), combine for a lovely combination a Russian-speaker might call красивый, or “beautiful”! Limited stock; pricing not yet available. Do you believe in fairies? 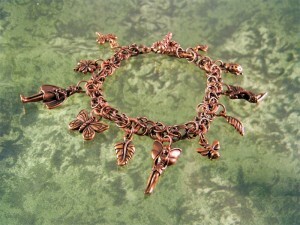 Even if you don’t, you’ll love this charming antique copper bracelet! 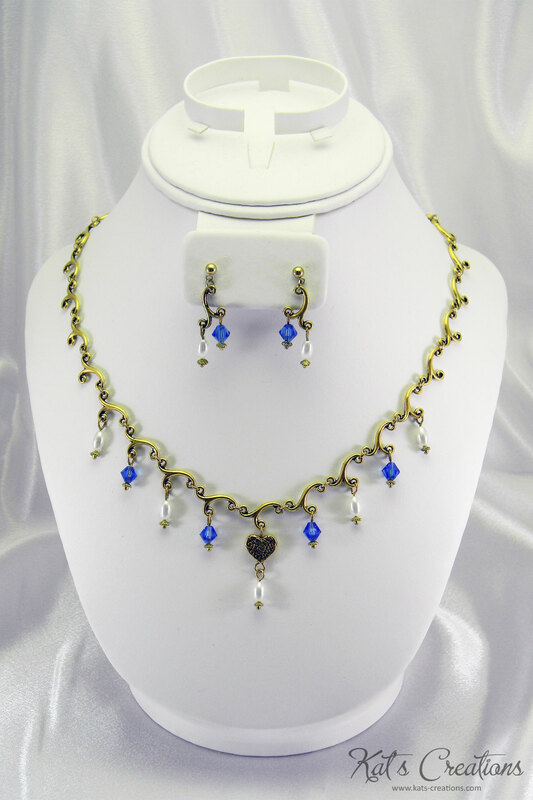 The chain itself is hand-crafted Byzantine maille, interspersed with copper-plated coiled spacer rings. 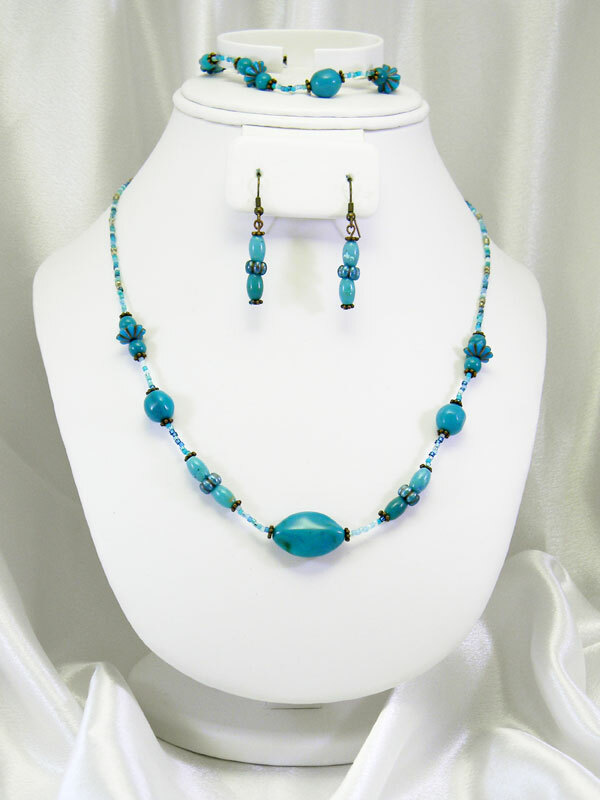 Teal, turquoise, and blue evoke the shades of the Mediterranean, while the shapes of the beads themselves bring to mind Greek ornamentation. 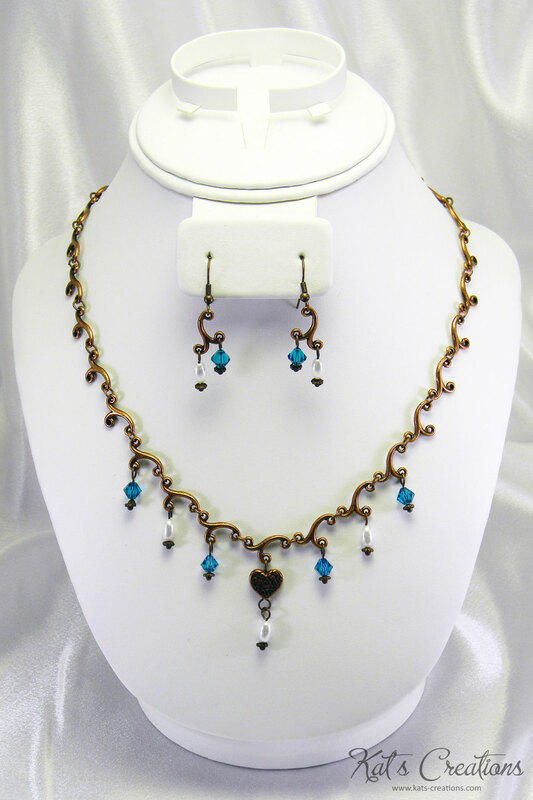 Accented with antique copper.